DigitalEffex provides Social Media in Pensacola, FL and all over the US. The world of social media is ever-changing and growing. Long gone are the days that a business can grow its client base without a website and solid social media presence. While it’s extremely important to be active and engaging on both your website and your various social media platforms, frankly, it’s time-consuming and can be a tedious task. That’s where DigitalEffex Web Hosting & Design comes in to pick up the slack. The DigitalEffex Team will post on your business’s behalf SEVERAL times per week. So when your audience is hoping and expecting to see some fresh content on your social media streams, they get it. And you don’t have to worry about it! No matter where your business is located, what line of work you’re in, the clientele you focus on, DigitalEffex has your solution. We’ll post about your town or city, events happening at your company, new products, new specials, new deals, or just some fun and relevant info about your industry, company, or location. We embed strategically picked hashtags into each of your posts that will drive traffic to your posts, your streams, and eventually your business. All posts link back to your website (which of course we will help build and maintain for you). We’ll post a fun or interesting image, add the hashtags to drive traffic your way, and ALSO will add the link to your website. This will not only bring people to your site, and soon enough your doorstep, but will also build your sites’ Search Engine Optimization. The more reputable websites that link to your site, the better. So if a reputable website such as Facebook, Instagram, Twitter, Google, or others have links back to your site, search engines see that, and love it! While all of these tactics are extremely important to growing your brand, let’s be honest, they take time. Lots of time. And while you are focused on your business, clients, customers, products, inventory, bookkeeping, and more daily tasks, stopping to post on social media might be simply not something that’s a priority. This is what we do, and we’re happy to do it for you. While you focus on your day-to-day, let DigitalEffex focus on your social media presence and management. 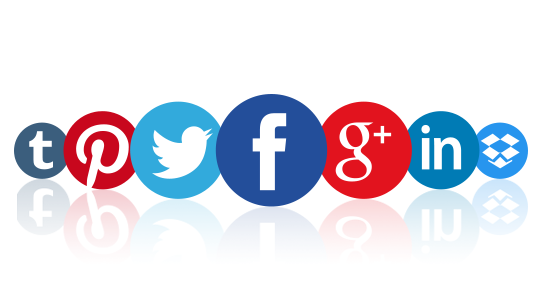 Contact us at 1-888-686-4447 or info@digitaleffex.com today for a free consultation about your Social Media needs.